This sign is for Waitt and Bond Blackstone Cigar. The sign’s colors are yellow, blue and white. 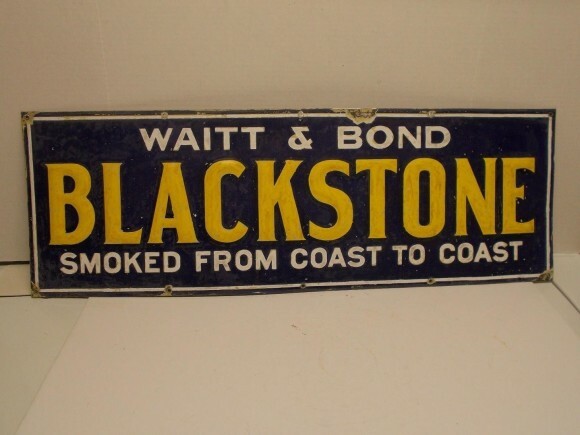 The text on the sign reads: Waitt & Bond Blackstone smoked from coast to coast. The sign shows text.